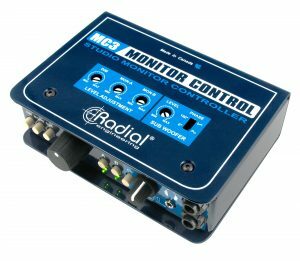 The MC3™ monitor controller is a studio tool that enables you to take command of your monitor system, with the ability to quickly select between two sets of powered speakers and adjust signal levels, and additional control for headphones and a subwoofer. 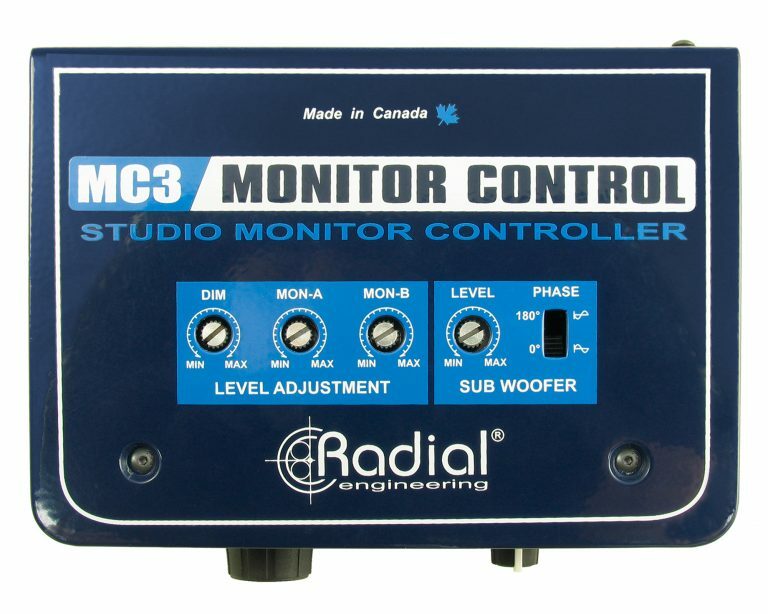 The MC3 handles all of your studio monitor switching needs in a small footprint that easily fits on any desktop. 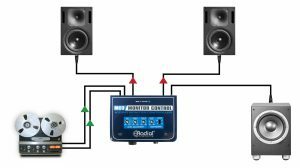 Connect two sets of powered speaker and a subwoofer and easily select any combination, with a large master volume control for setting levels. 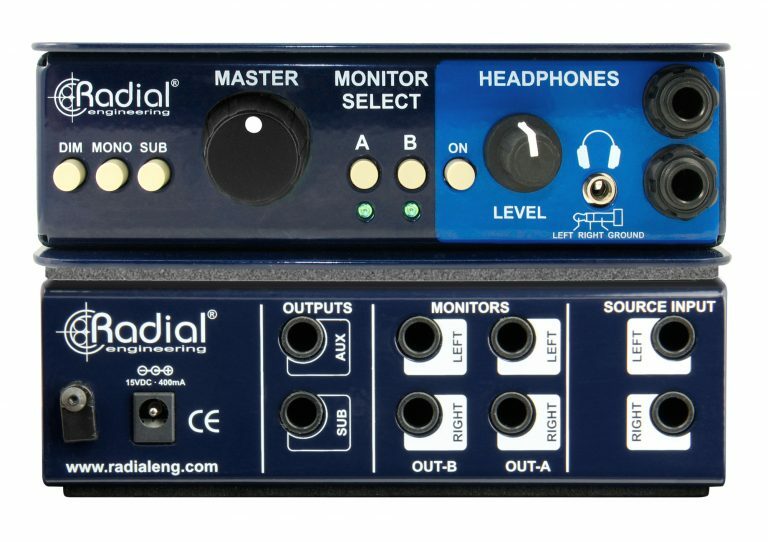 A Dim switch lets you temporarily lower the speaker level without altering your main volume setting, and a Mono switch provides an easy way to check for phase compatibility. The MC3 features a passive audio circuit for clean and transparent audio, along with an active headphone amp to drive multiple sets of headphones and monitor silently when necessary. 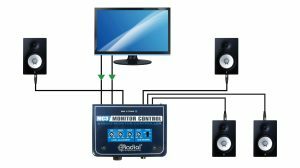 The most common application is switching between two sets of monitors. 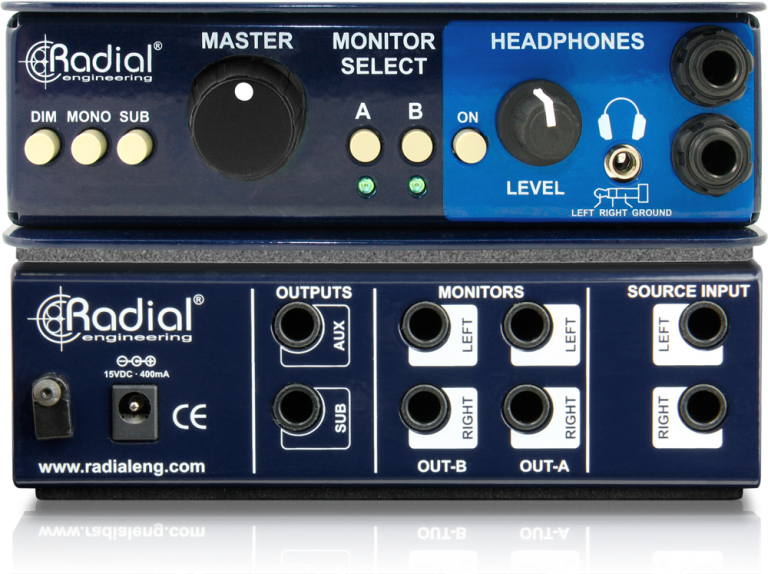 This enables the engineer to hear how the mix will translate at various levels using different sized drivers. The mono switch is used to check AM radio compatibility. 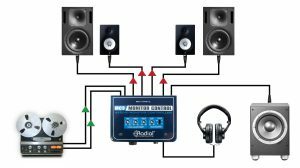 With more and more home theaters using subs, it is important to audition mixes with and without the added bass. 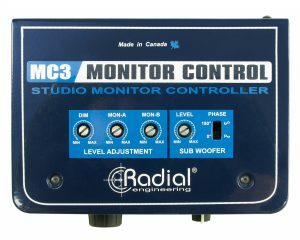 The MC3 lets you switch in a sub as needed. Top mount dials let you adjust the level going to the sub for optimal mix. The MC3 can be used as a basic audio router for applications such as sending a stereo signal to two rooms. Applications include splitting the signal between the living room and kitchen or two zones in a restaurant. 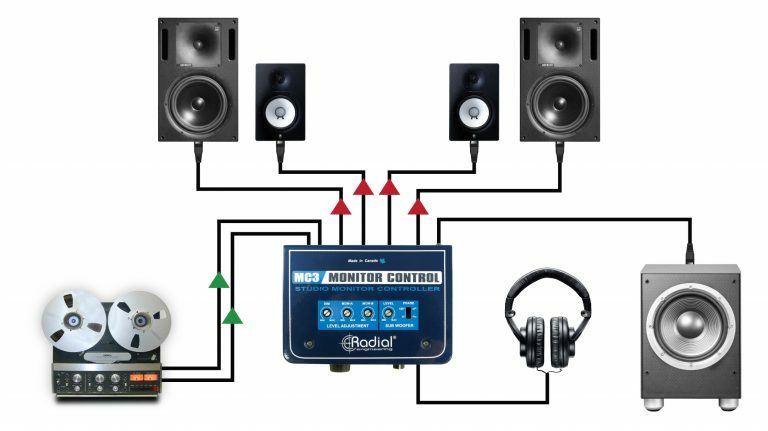 "The MC3 is a great choice for the personal recordist, the laptop recordist on-the-go or the traveling producer who wants some stable continuity as work moves from room to room." "A device like this stands and falls on its sonic and operational properties and I can report that the MC3 excels in both areas. It imparts no discernible changes to the audio passing through it. 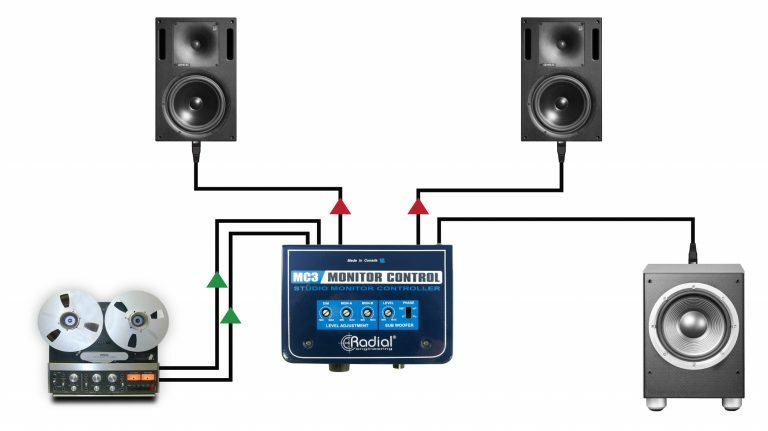 If you need a system that will allow you to quickly check phase issues, drive your headphones, and allow you to switch between monitors, the MC3 could be exactly what you've been looking for." 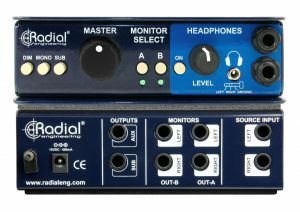 "It should be no big surprise that Radial Engineering, those devilishly clever Canadians with a habit of inventing dozens of clever little boxes that solve dozens of studio problems, should eventually address the question of easy-to-use, great-sounding monitor control that anyone can afford to install in even the smallest studio arrangement." 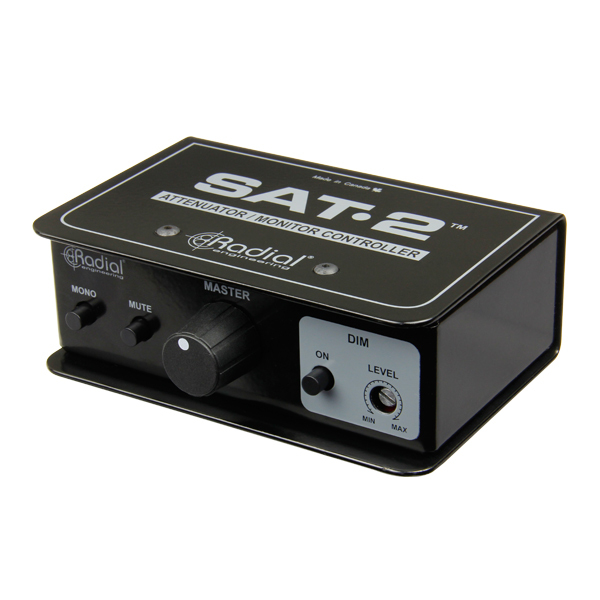 The SAT-2 is a passive stereo audio device that provides you with attenuation and control over your signal level wherever you may need it. 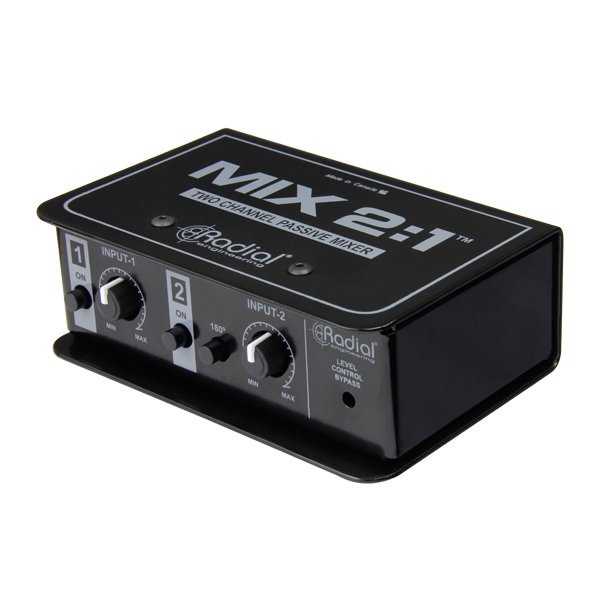 The Radial MIX 2:1 is a simple yet highly useful mixer that passively sums two audio channels down to one. 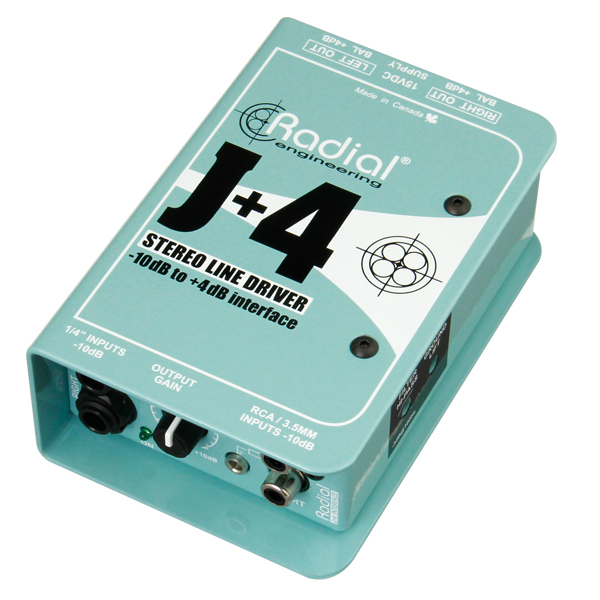 The Radial J+4 is a -10dB to +4dB stereo preamp that lets you boost a low output unbalanced signal and interface it with a balanced professional audio system. 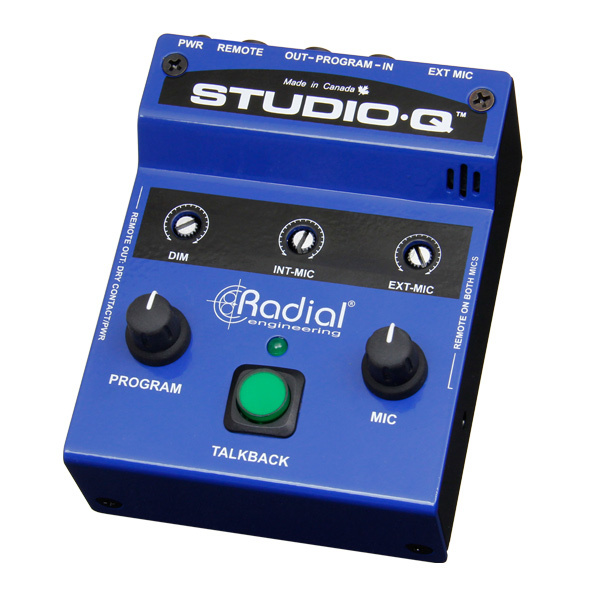 The Studio-Q is a compact studio talkback controller designed to provide a simple yet full-function cueing system that allows easy communication with artists. 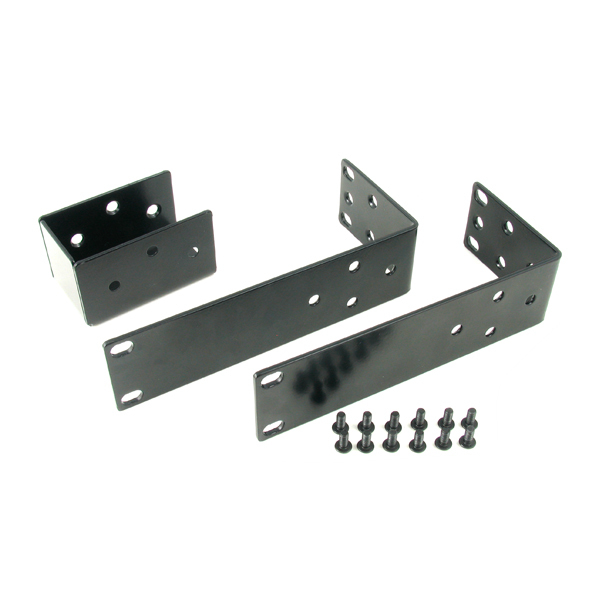 The SA series rack adapter is a dual function angle bracket that may be used to mount one or two Radial SA series devices.